Selling food as a street vendor can be very lucrative, especially if you target an area of a large city that’s populated with hungry workers looking for food at lunchtime. Unlike other types of food vendors, selling food from a food truck is not that expensive an endeavour to start up but there are lots of pitfalls. We’ll tell you how to start a food truck business so you can get an understanding of whether it’s for you or not. There are lots of pros to this type of business but the biggest perk has to be working for yourself. Of course the responsibility that brings can push some folks down so before you worry about getting this type of business off the ground, really consider if it’s the early starts in all weathers are something you’re okay with. Sounds pretty obvious but the first thing to do when you have what you consider a big idea is to do some research. Determining the “who, what, where, why and when” of your business proposal will make you understand if this is a great idea or a longshot. Make sure that you’re thorough with your research as investing money in something that’s been done before or a venture that won’t work in your marketplace will leave you out of pocket. Assuming that your research has confirmed what you should sell, to whom, where you’ll find your customers and when they’ll want to eat, you’ll need to consider the vehicle you’re selling from. This is a key component of this type of venture. The right vehicle can attract a crowd and give your food an extra push in the marketplace. 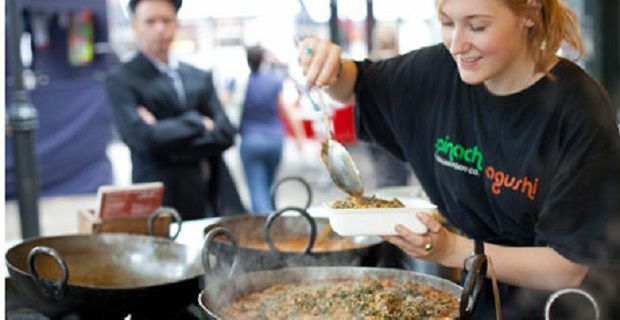 Whether you chose a market stall, a van, a truck, a cart or a trailer will depend on the type of food and the image you’re presenting.